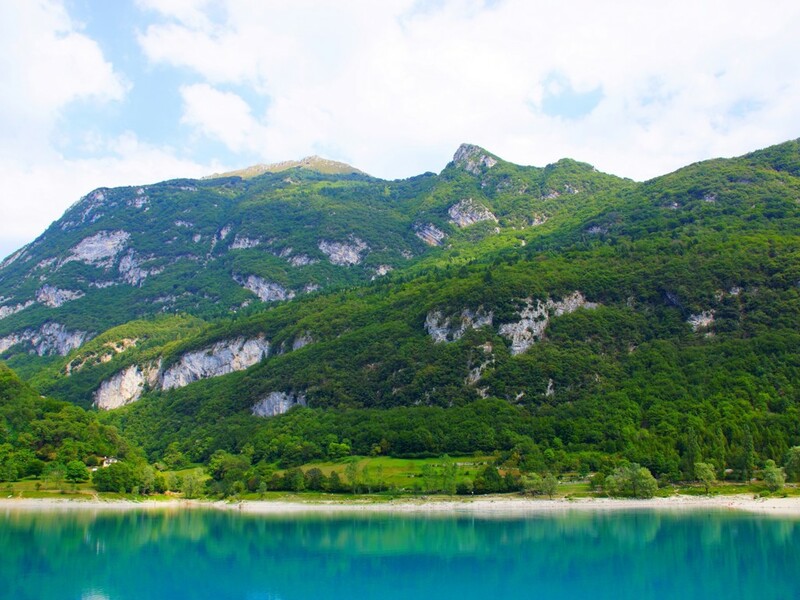 Holidays at Lake Tenno ↔ Discover Lake Garda! The crystal-clear mountain lake at Riva del Garda hides among lush forests. 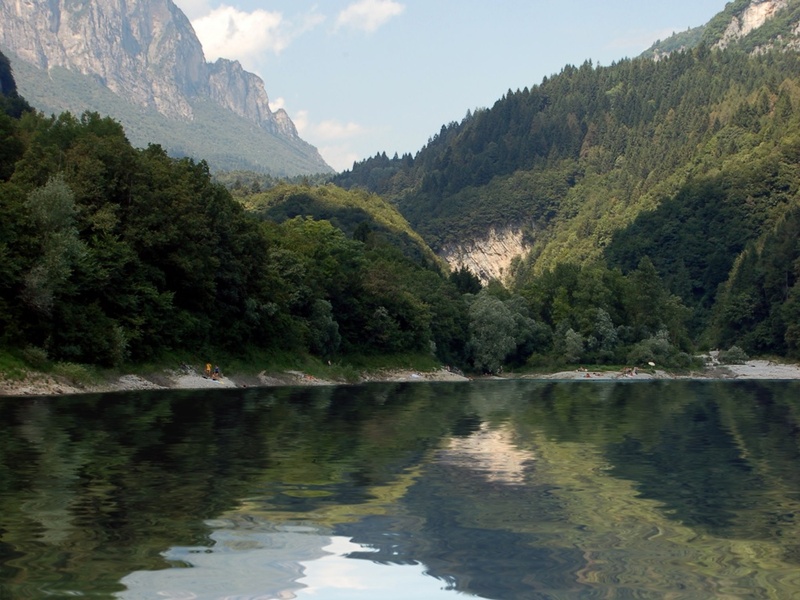 Lake Tenno near Riva del Garda, with its crystal-clear turquoise water, looks almost fairytale-like. It's virtually circular and surrounded by dense coniferous forests located up around 570 metres. 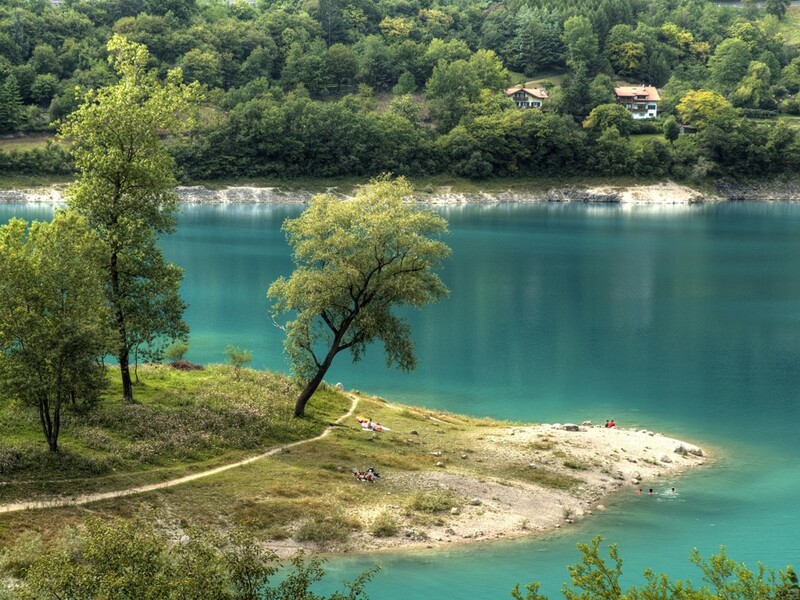 This stunning mountain lake is a feast for the eyes for nature lovers and those seeking relaxation. On hot summer days, the stony shores of the lake attract many water and sun seekers. If you like a nice walk, you can walk around the lake in about an hour. In the Tenno Valley, you can visit and explore some particularly beautiful medieval villages. Absolutely worth mentioning is the village of Canale. It's full of medieval architecture, and the unique atmosphere of this small town always fascinates visitors. Many artists are based in Canale and exhibit their work on the streets. Through its regular exhibitions and events, Canale in the Tenno Valley is a magnet for artists and art lovers. Don’t miss the village of Tenno. It's a quaint little neighbourhood with houses and farmsteads that have remained the same over hundreds of years and it’s an attraction for all culture and history buffs. 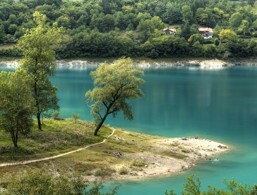 Lake Tenno is located next to Lake Garda and is always worth a visit. Relax at the picturesque Lake Tenno. Quaint flair, ancient buildings and houses with romantically weathered facades characterise the village. Remains of the old city walls are still partially preserved. Perched on the hill is a mighty 12th-century castle, but you can only view the exterior as the interior is not open to visitors. Next to the castle is the Romanesque church of San Lorenzo from the 13th century, known for its particular apse with the oldest frescoes in the province of Trentino. At an altitude of 850 metres above sea level, this archaeological site is home to discoveries from prehistoric to late Roman times. The small mountain village impresses with its perfectly preserved medieval appearance and is one of the most beautiful mountain villages in the province of Trentino. There are also two museums in the town: the artist's house "Giacomo Vittone", where regular exhibitions are held, and the Agricultural Museum "Museo degli Attrezzi Agricoli", which manages the study of agriculture and crafts in Trentino.